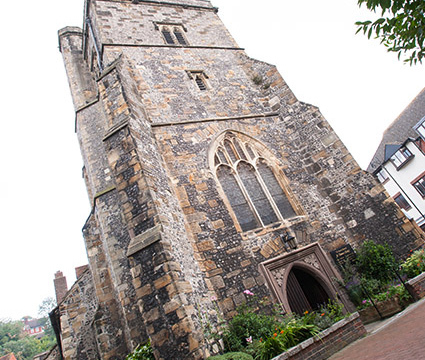 St Thomas à Becket is an ancient and peaceful church, situated at the end of Cliffe High Street in the East Sussex county town of Lewes. Apart from daily services, according to the Book of Common Prayer, the friendly congregation also offer a range of social activities in the neighbouring Cliffe Hall – see News & Events. We look forward to welcoming you to this oasis of calm and tranquillity, whether for a visit, meditation, private prayer or to one of our regular services. Full details in our monthly Parish News. BCP Parish Eucharist – 9.45am. Join us afterwards for coffee in the hall, next door. Many of our visitors, often from far and wide, leave us heartfelt comments which we share with you….